Sorial. Home of the system’s master merchant families and marketplaces in this epic fantasy book series. 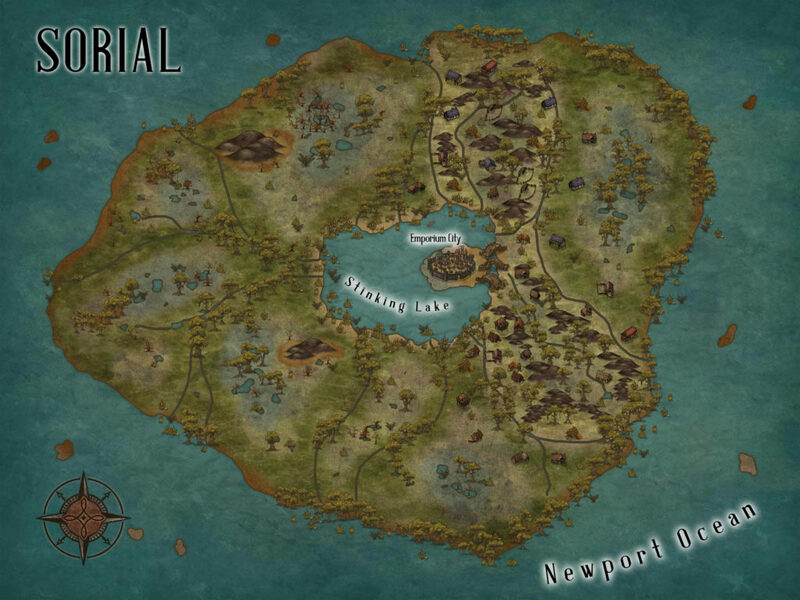 Though the Emporium City sits on a sulfur lake called the Stinking Lake, the merchants originally chose that location for the largest market on all seven worlds due to the location of the portals and the low initial cost of the island. It is a well- known fact on all the worlds of Ochen, that anything can be bought on Sorial for the right price, anything. Including slaves. The largest slave markets in Ochen are found in Emporium City, most stocked by Arisimanian pirates and individual privateers who specialize in procuring valuable properties for the right price. In this epic fantasy book series, Sorial is also noted for its two suns; Xanthe, a large intense sun, and Ortrun, a small but dangerous disc that produces damaging rays. At certain times of the year, when both suns run further apart, the markets are lit through the night. Between the heat of the two suns, the stench from the lake and the livestock markets, and the non-stop activity and noise, Sorial is not a place to visit if one is seeking a quiet rest. Those who can afford to have moved off the island to higher ground east of the lake. A community of large mansions with well-manicured lawns has grown along a spine of scattered rolling hills rising out of the swampy land that dominates the remainder of Sorial.